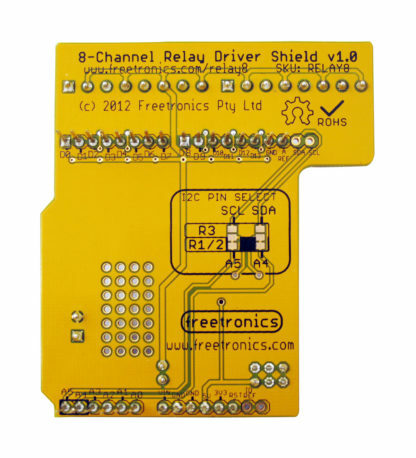 View cart “8-Channel Relay Driver Shield” has been added to your cart. 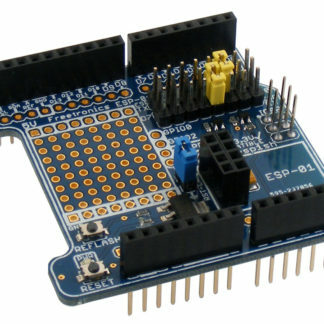 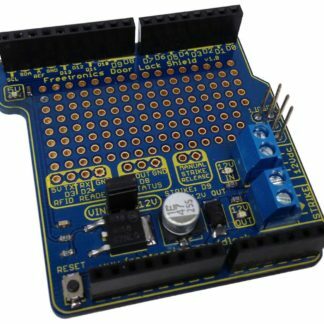 Drive up to 8 relays from your Arduino using just 2 I/O pins with this shield. 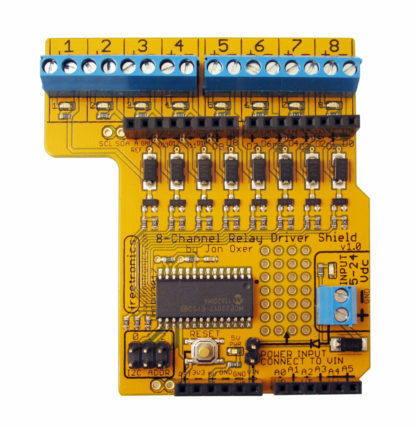 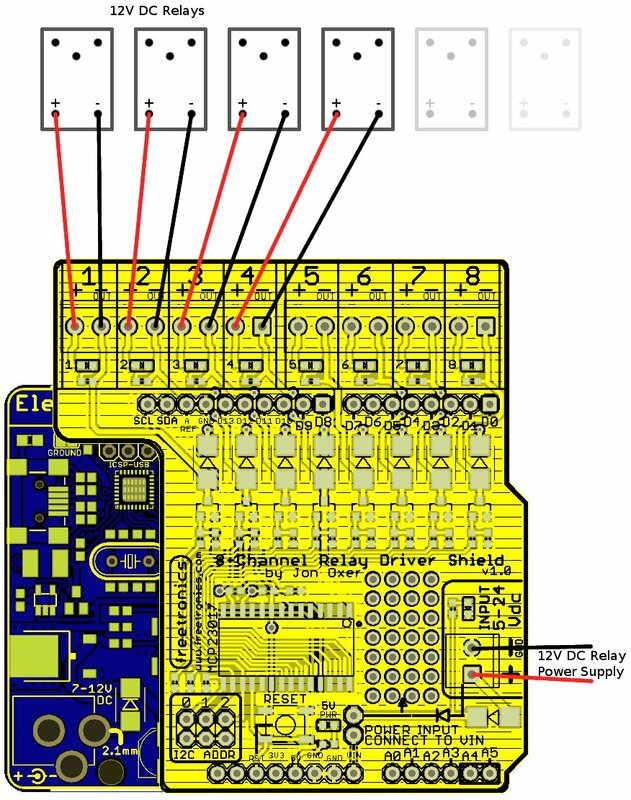 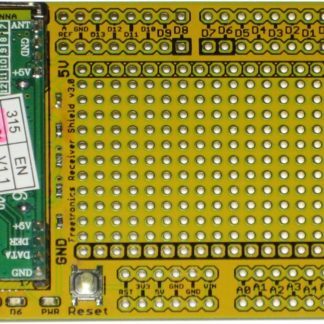 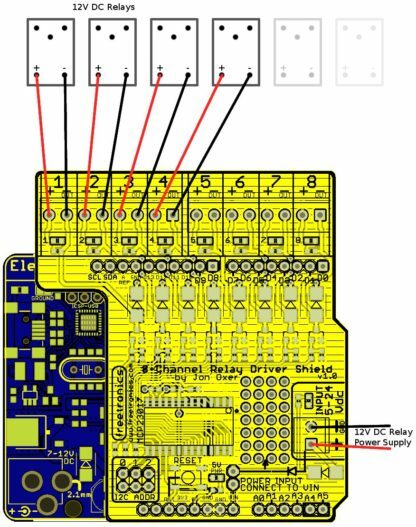 It communicates with your board using I2C, so you can even stack several shields together to drive 16, 24, or more outputs! 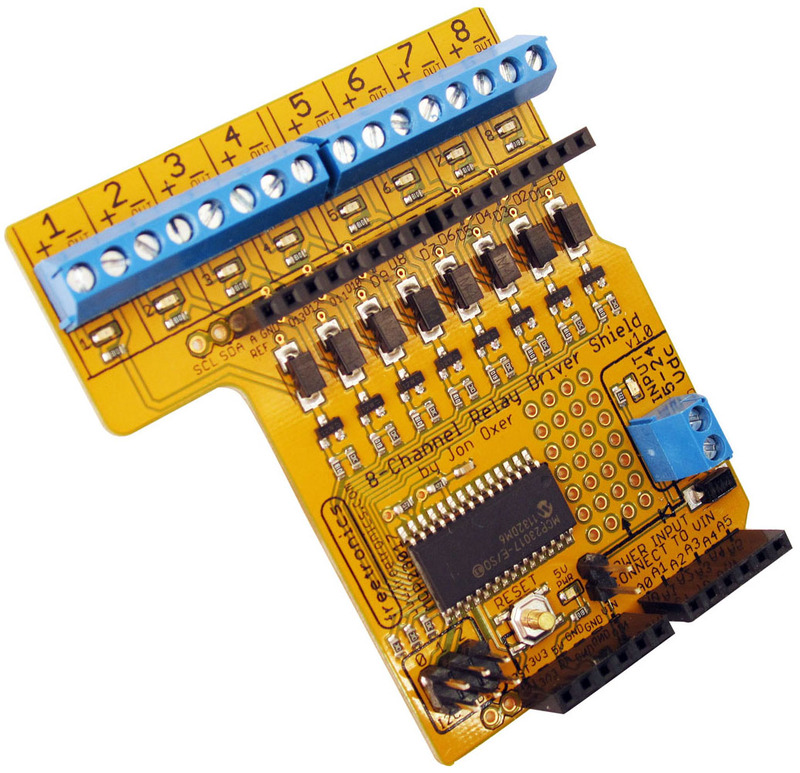 Includes back-EMF protection and works with a wide range of relays. 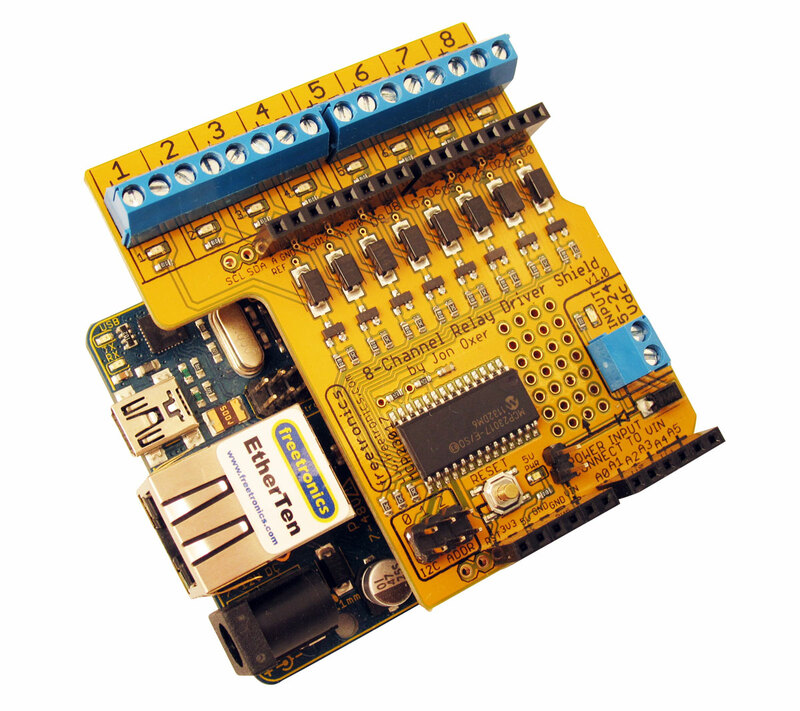 Perfect for home automation projects! 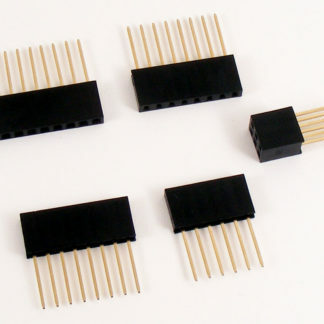 Maximum output current per channel is 115mA, which is plenty to drive common relays. 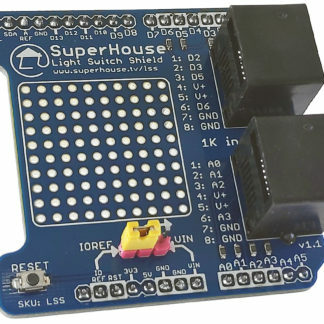 For larger loads you can use this shield to control FETs or solid state switches.